With digital technologies requiring a speed and breadth of impact which leaves little room for risk, how might we start proactively considering the relation of our present work to future outcomes? Today as designers, we are not only responsible for helping our clients shape propositions that are valuable for end-users, but also ones that are competitive and sustainable in delivering that value. Part of this responsibility means anticipating the potential ripple effects of what we are building and how success could be compromised today and in the future. So get your crystal ball out, zip up your space suit and let’s get ready for time travel. Not so fast. Exploring how a project might develop from a future lens can be challenging because speculation means we have no hard facts. So, when imagining future scenarios, we often fall into our creative echo-chambers, become hyper-fixated on certain trends, start to group-think and miss blind spots, blank under pressure, generate predictable storylines (we’ve all nodded along to sci-fi tropes) or overthink the infinite possibilities and find ourselves in a futures black hole. Not to mention that human-centered design approaches encourage us to focus on the needs of the end-user (which are likely to be immediate needs) and it is not always intuitive for us to consider the consequences of what could follow. Designer A: This year a preventative health startup approached us with a brief. They want to disrupt the healthcare space by harnessing the power of data and AI and want us to support them to pinpoint their value proposition for end-users. Designer B: And then by 2020, the startup had begun trials with a small pilot group - targeting high-wealth baby boomers willing to pay for a premium service to maintain good health. Designer A: And then by 2021, as the pilot’s success was shared with the public, over 20 million people signed up to be first users, willing to offer their data for the next 10 years to be part of the soft launch. The startup gets injected with €40 M in funding, mostly reinvested back into the development of the technology. Designer B: And then by 2025, a slew of competitors enter the market. Healthcare and data become increasingly connected, with people using health data as a currency. The startup expands its proposition from niche to mass market, allowing for a freemium model in exchange for data. Research institutions, pharmaceuticals and the private sector are paying top dollar for certain data profiles. A few major medical breakthroughs for cures to serious diseases appear to be connected to the data insights provided by these preventative health companies. Usually we find that the stories ebb back and forth between utopian and dystopian exaggerations - but it is precisely these exaggerations that can help us to identify what matters most. For example, when we ran this exercise exploring the future of a fictitious preventative healthcare startup - which by 2030, had transformed into a marketplace of health data - principles such as inclusivity, privacy and control clearly emerged in importance. Travelling into slices of imagined futures can help us to start flagging major pitfalls and opportunities that might unfold. Dramatised scenarios can help spark meaningful conversations with our teams, pushing us to consider the wider ethical implications of what we are doing and informing high-level, guiding principles for how we wish to design and build today. 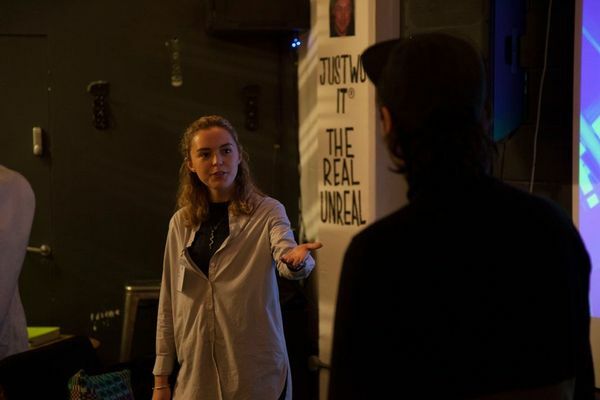 Recently, speaking on the topic at the “Humane Tech” Meetup here in London, Luca Acito and I discussed the importance of taking the time at the beginning of projects in order to define guiding principles that can be mined from a future lens. Drafting guiding principles that consider a longer timeline, can help us to reduce risk, align teams around a common vision and act as a north star in moments where we navigate through complexity and ambiguity. Guiding principles can also help us “future-proof” product and service propositions, as teams consider what it will take to keep up with anticipated changes in needs, behaviours and norms - from both a user and market perspective. What might these principles look like in practice? Here at Futurice, we have already released a few, including “Design Principles for Children’s Voice Services” and “The Futurice Principles for Ethical AI”. Both are sets of high-level principles that teams can refer to when working with specific technologies. So if you have 20 minutes to spare and an open attitude - give it a go! And for some parting thoughts - you might be wondering why we’re calling it speculative improvisation. Well after stumbling into an improvisation class in Shoreditch, I was inspired by the wild stories generated amongst a group of complete strangers - and that’s when I thought this sort of exercise could add value back at the office. Why the improv technique might work so well with futures? The drama! Full of dramatised utopias and dystopias, we are able to quickly identify high-level principles that can guide us as we build and design products and services. Egos left behind. As the concept morphs and changes with every round, you must give up control on which direction you want the scenario to take. Co-creation. Creating a story with a partner or group means you can release yourself from the pressure of having to have the perfect idea. It also helps you to generate rich outputs as you build up a story from different perspectives. It’s focused. We aren’t going to design a whole future, but maybe we can explore a slice of it. The time crunch and linear path of the activity helps us to stay on track. Channel your inner child. This quick and playful think-exercise feels like a game - fostering an “it's ok to fail” attitude and consequently welcoming wild ideas!